What makes a good hiking watch? A hiking watch is an important tool to have when trekking. It is a sturdy timepiece that helps tell time, direction, and even the temperature to keep you fully informed. It is a multi-functional timepiece that is an excellent companion to most outdoor travels and sports. Knowing its importance, what really makes a good hiking watch? And what are the best hiking watches to check out? 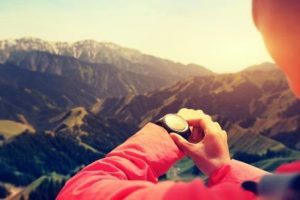 The article aims to discuss the basics of hiking timepieces and will discuss 6 watches from trusted brands including Casio, Suunto, and Garmin. Each of them has different styles, features, and approaches on their technologies, and range from price to price. All of these will help you decide which one fits perfectly for you and your needs. As long as it has the most fundamental and essential functions, you already have a good hiking watch. Features vary from one timepiece to another; most have the basic necessities, while some include additional features that aim to amplify your experience and convenience. Depending on how much you are willing to invest, you can get a timepiece that has all the essentials with no additional features, or one that has all the basic necessities and some advanced features. It all depends on how you want to use it, and which features you think would be necessary with your lifestyle. It should be your top priority to consider bringing the perfect watch depending on where you’ll go. When hiking, knowing that trekking is almost always certain, opt to find the best when it comes to toughness and durability. This reassures you of its functionality even when traversing rocky and bumpy places. Sturdiness is a trait that hiking watches can be very proud of. Almost all hiking timepieces can withstand strong shocks, can still function even when subjected to dirt and mud, are reliable with their long battery life, and have about 100m (330ft) water resistance. Next, it is important to choose a hiking watch that has a good and reliable compass feature. You may never know when you’d get lost on your trips, so a good compass can help you locate where you are relative to where you need to be. Another important feature to look out for is the altimeter. This particular feature helps you know your relative altitude above sea level. This can be very useful in knowing where you are and how high you’ve been hiking as you can use it to find where you are relative to your starting position’s altitude. Providing information on air pressure, the barometer is vital to a hiker as it determines the amount of air he can still get while trekking or if it’s time to stop. Missing this information could mean dizziness, shortness of breath, and sickness as these are all caused by the thinning of surrounding air. The thermometer helps give you a good estimate and reading of how hot or cold a place is so you can map out your next plans on the trek. This can help save you from experiencing harmful temperature shifts as you will be cautioned when you need to go back. Take note that some hiking watches don’t have accurate readings for the temperature, but even so, they still give a close estimate on the actual reading so they are still useful functions. Knowing exactly where you are is a big plus that can help avoid you from getting lost. This is especially helpful when you get off track from the usual course or when you get adventurous and traverse a new route. As an advanced feature, it can accurately help you on directions even when travelling alone. Connecting to your phone helps you to connect with others. It also opens up a lot of opportunities when travelling outdoors as it can provide you with useful information that can guide you in tricky situations. This is especially useful when the need arises that you need to contact others and can save you from potential trouble that you may face. Measuring your heart rate is also important as it helps determine how much you can still go when hiking. This feature is especially helpful for people who have high or low blood pressure as it can tell you when you can still trek or not. Aside from hiking, you can utilize the function for other outdoor sports as well. Most hiking watches that have the heart rate monitor feature are multi-sport timepieces and can be used for jogging, exercising, and for other sports activities as well. To be discussed are timepieces from Casio Protrek, Suunto, and Garmin. 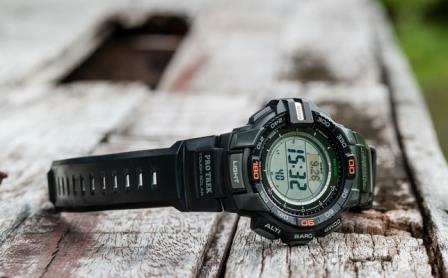 It is notable that Casio’s Protrek series are some of the best when it comes to the essential features, this comes at the price of not being all-in-one. 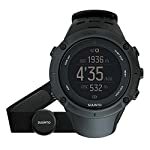 Suunto and Garmin offer multi-functionality and have a lot of advanced features, but of course will cost much higher compared to those offering just the essential basics. Embracing the true charm of the outdoors, the Casio Protrek is built specifically for any outdoor hiking adventure. It is easy to use and very sturdy. It dons a rugged design and can travel with you through the hardest of treks. Powered by the sun, it ensures that you are well-equipped and charged. The price range for the Casio Protrek is wide, ranging from very affordable timepieces to more expensive selections with additional features. From there you can choose if you opt for an affordable one that offers the basics including its sturdiness, or an expensive timepiece which has more to offer. A tough, rugged, and multi-functional timepiece, the Casio PAG240-1CR Pathfinder is an all-around companion when trekking. It has multiple useful features that prove its excellence as an outdoor watch. The rugged design of the timepiece also fits with the challenges of hiking and outdoor travels. Being a bestselling model for years, it boasts its functionality with an affordable price tag. For first timers, though, there is a bit of a learning curve to learn the compass and its basic functions. Also, the timepiece may be a bit hard to fit on gloves so it needs to adjust to your wrist first. If you opt for a multi-purpose timepiece that has the basic essential features for your outdoor treks, and one that has the charm of the rugged outdoors, then this watch is exactly for you. Featuring a sturdy and rough look, the dark color of the timepiece matches almost any outfit that you’d prefer when travelling. The biggest advantage, however, is its affordability compared with its great quality. The watch is a great addition for your outdoor travels. Its multiple functions ensure you have all that you need when travelling alone or in a group. Know the temperature, see how high you are from sea level, and travel in style with the solar-powered Casio PAG240-1CR Pathfinder. Multi-functional and stylish, the PRW-6000Y-1ACR Pro Trek is fit for any outdoor treks you’re planning for. Utilizing solar power, featuring multiple functions, and having a slim comfortable design, this timepiece is sure to keep you informed with your surroundings, ensuring you’re informed for a safe hike. Boasting a Smart Access technology, it is a slim ana-digi timepiece that has a smaller bezel compared to the Casio PAG240-1CR Pathfinder. It’s main drawback, however, is that it is more expensive due to having more advanced features. Besides, the display is a little hard to read in the dark, but it’s not a huge issue! Casio offers a multi-functional timepiece meant to have all the essentials when hiking. For people who like the charm of Ana-digi timepieces and for hikers who want slimmer timepieces, then the Casio PRW-6000Y-1ACR is perfect for you. The timepiece lets you know the altitude, air pressure, temperature, and orientation. This multi-functionality of the timepiece makes it a must-have for trekkers. It also comes in a slim design, meant to maximize comfort for those who opt for a lighter feeling when wearing the timepiece. It fits most style choices with its black color tone and is sturdy enough to accompany you through any hike. 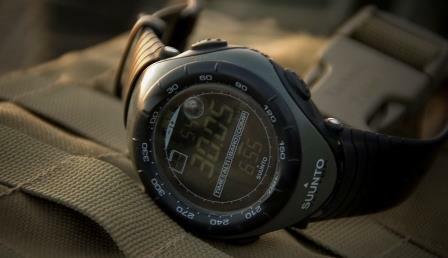 As an advanced wearable brand taking advantage of technology, Suunto offers the Ambit and Traverse series. They maximize the benefits of wireless connection and technologies as they offer an excellent guide that you can bring in any of your outdoor hiking adventures. By integrating GPS on the timepiece, it effectively provides you with your precise location. Besides connectivity, it also has a heart rate monitor that is suited for people who need to keep track of their body. This lets you know if you can still go through more or when you may need to stop. As it relies heavily on its hi-end technology, Suunto watches have a short battery life, which is something that you should prepare for when travelling for long periods of time. It is more sleek-looking and is not that rugged-looking compared to the Casio counterparts. The Suunto Ambit3 Peak is a stylish and technologically-guided timepiece that is set to help you navigate and understand your surroundings. Providing you with information of the environment and your location, it is a timepiece that will greatly lessen your chances of getting lost during challenging hikes. 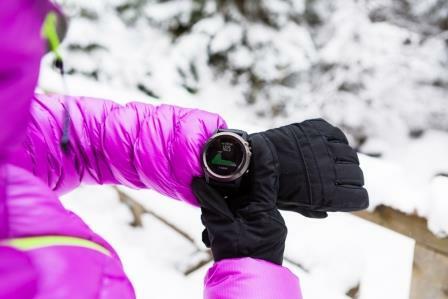 It’s good to note that you can opt to have the Ambit3 Peak with or without the Heart rate monitor depending on your needs and preferences for your outdoor trips. Although it’s not as tough as the Casio Protreks above, its sturdiness is still more than enough for most hiking trips. What’s not to love is the battery life, however, it’s a small sacrifice for more advanced features. If you’re a traveller who wants to keep updated and notified, or wants a stylish timepiece that fits the modern look, then the Suunto Ambit3 Peak is for you. Backed with multiple features and its wireless connectivity, it is an amplified version of a timepiece that maximizes on technology by tracking your distance, heart rate, speed pace, distance, and much more that you can use for your trips. It is also a very stylish watch, one that you can wear with its sleek look as it can fit with most outfits. Traverse mountains, travel in style, search for alternative routes, and check out the weather with the guidance of the Suunto Ambit3. Traversing the great outdoors whether it’s hiking, fishing, or hunting, Suunto’s Traverse Alpha is an excellent companion. Built with several outdoor adventures in mind and incorporating it with the latest technologies available for watches, the timepiece will help keep track of what you do and any other information you’d need about your surroundings. It comes with a knurled stainless steel bezel +3-ring textile strap that makes it look tougher and sturdier. Its sapphire crystal glass is scratch-resistant which can withstand bumps and scratches on treks. It is also tested against military standards (MIL STD 819G), ensuring its strength and durability. Honestly, I have mixed feeling to the textile strap. I love this kind of military-style band, but it’s not waterproof, so sweat, mud can cause you some uncomfortability along the trip! Keep it as clean as possible! If you love outdoor activities including hiking, fishing, and hunting, then the Traverse Alpha is fit for your travels. Incorporating features designed especially for these activities with modern technology in one timepiece, you can travel and enjoy your trips knowing that you have an easily-available guide with you at your wrist. The rugged and dark color tone of the Traverse Alpha matches most outfits and styles you prefer. It is aesthetically-pleasing and sleek. It is also sturdy with a trustworthy quality; proving its strength by being tested against military standards (MIL STD 819G). With its multiple features and technology, it fits any outdoor trips you’d like, giving you all the necessary information on what you need on your travels. 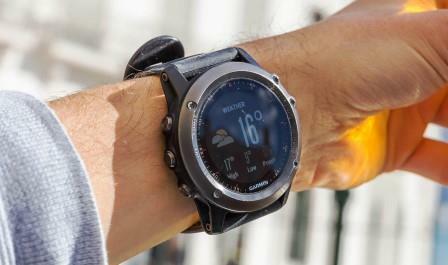 A tough and highly-featured smartwatch, Garmin Fenix is a different kind of hiking timepiece that utilizes available technology towards creating an ideal hiking watch. It provides a lot of features that focus on your activities, health, and sports. These smart watches have high-end features with great color display. It may seem to be too expensive at first glance, but having the basics all covered and providing a lot of additional advanced features make the price very much worth every buck. Built as a multi-sport watch, the Fenix 3 HR is utilized as a great companion for hiking and most outdoor sports that you want. It is equipped with features that let you know about your health, and the surroundings so that you can achieve the best conditions for your outdoor trips. The design is also fitting for most styles that you would opt for when travelling. The color display is what makes it different to other counterparts, but this feature is too battery-consuming! If you’re an active individual who loves to play different types of sports and likes a well-designed accessory, then this is the perfect choice for your timepiece. Using modern technology, the watch is equipped with software enabling it to track your health and guide you as you undertake several sports. It takes pride in being a smart timepiece that makes hiking much easier by providing access to a vast amount of information regarding your trips. Its high-end technology & color display are its biggest advantages and make it worth the price you pay for it. For the design, it features a neutral dark color so that it can match any style you prefer with its sleek yet rugged look. You can bring it for your next outdoor adventures and use it as a guide to keep you safe and on track when you hike or when you opt to do other activities as well. Enjoying the great outdoors is an excellent adventure and being fully-equipped to handle any situation makes it a safer endeavor. Garmin takes these considerations into mind and puts it all in the Fenix 3 Sapphire. Created with the latest technology specifically for sports and the outdoors, it is a great companion and guide for whenever you and your friends would go to an outdoor trip. The Fenix 3 Sapphire features a weightier and sharper design compared to the Garmin Fenix Gray. The timepiece features a sturdy Sapphire crystal and a stylish charcoal metal bracelet, giving it a sleek look and design with its all-metal finish. If you love playing multiple types of sports, enjoy travelling, and have a personalized sense of style, then the Fenix 3 Sapphire is a great choice for you. It is a multi-functional timepiece that will not let you down when you need it the most. It is built with applications that focus on health and fitness, maximizing your focus and enjoyment on the activities at hand. The style of the timepiece is also a bit more unique compared to other hiking watches, so pairing it up correctly improves the overall look you have. Compared to the Fenix Gray, the Fenix 3 Sapphire looks a bit heavier and is sharper with its metallic look. It is an excellent choice if you like a lot of sports and outdoor activities. It guides you and helps provide information necessary to fully enjoy your trip. There are a lot of options available to choose from. You can opt for the ones with the most basic and necessary functions such as having a compass, altimeter and barometer. These will cover most of what you need to know when travelling outdoors. Otherwise you could also choose the more advanced watches that let you explore more convenient features depending on the lifestyle you have. When buying something as important as a hiking watch, make sure you know what you need and what additional features you want so that when you go on your adventure, you come fully prepared, aware of the features that can help you on your travels, and that you are ready for any unexpected scenarios.